This rare orchid grows in dark woodland, frequently of Beech trees, and so the bright rose-pink plant and flowers seem all the more surprising if you come across it. This variety frequently occurs with Epipactis purpurata. 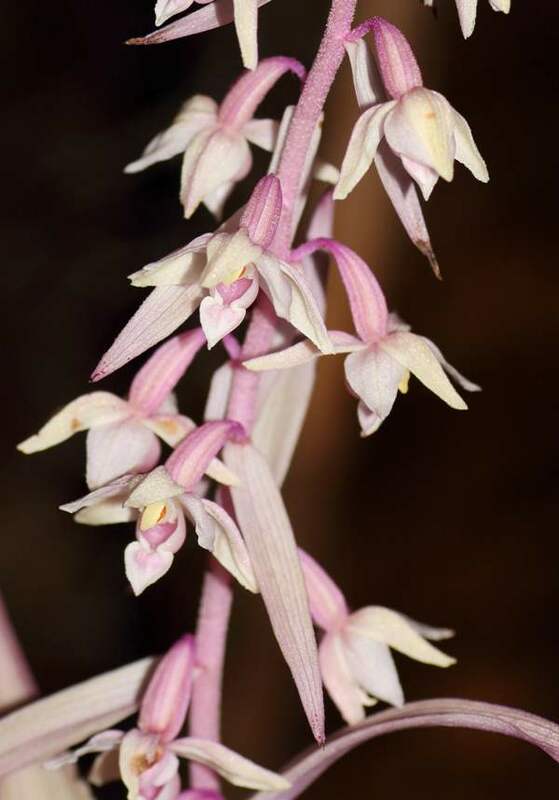 Growing to around 40 cm typically, this variety of the Violet Helleborine can sometimes grow up to a metre in height. The plants frequently appear in large clumps and some more mature plants produce more than one inflorescence. The leaves grow in opposite-facing ranks on either side of the lower part of the stem and are pale pink. There are further pink bracts among the flowers on the upper part of the stem. The flowers, which can be numerous on mature plants, are almost white except for the lips which are flushed pink and surround deeper pink hypochiles. Unlike other helleborines Epipactis purpurata var. rosea is lacking in chlorophyll and is therefore probably entirely dependant on a relationship with mycorrhorizal fungi in order to grow, flower and fruit. 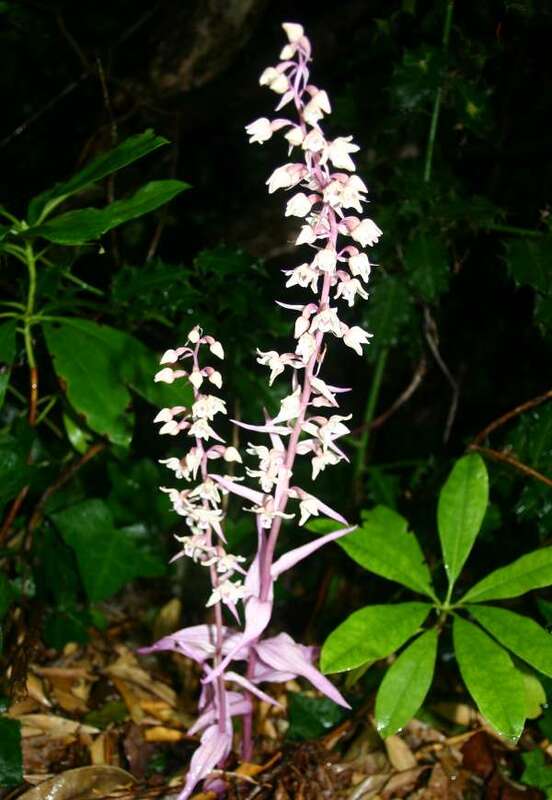 The Violet Helleborine is rare and localised in the southern part of England. It also grows in the temperate zone of west and centralEurope. 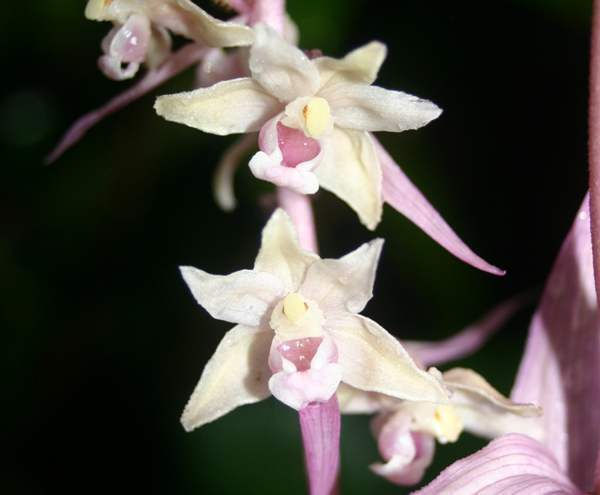 Violet Helleborine flowers in July and August.